Located in the Malacca Strait, about 48 miles from the Port of Belawan. 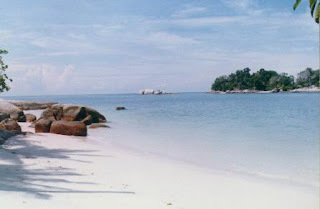 In terms of administration, the island is part of the District Tanjungberingin, Serdang Bedagai. Width is 2.5 km ². Island idol has mountainous topography with lush forests and white beaches. At the beginning and end of the year, the beach is a haven for nesting turtles.